ese Bunny Love! !The mommy and baby rest in the grass! 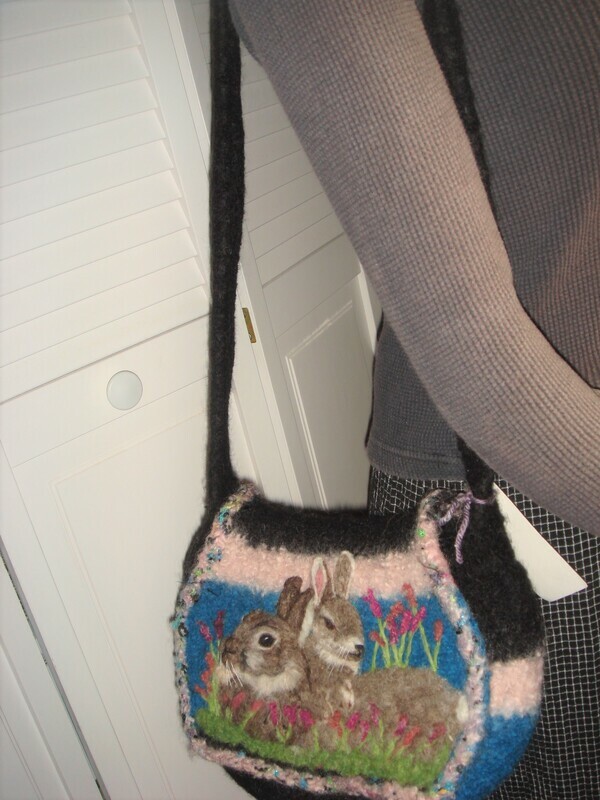 The pony express type bag has beautiful colors of turquoise,black, and pink. The measurements are: 12" X 8" X 6." 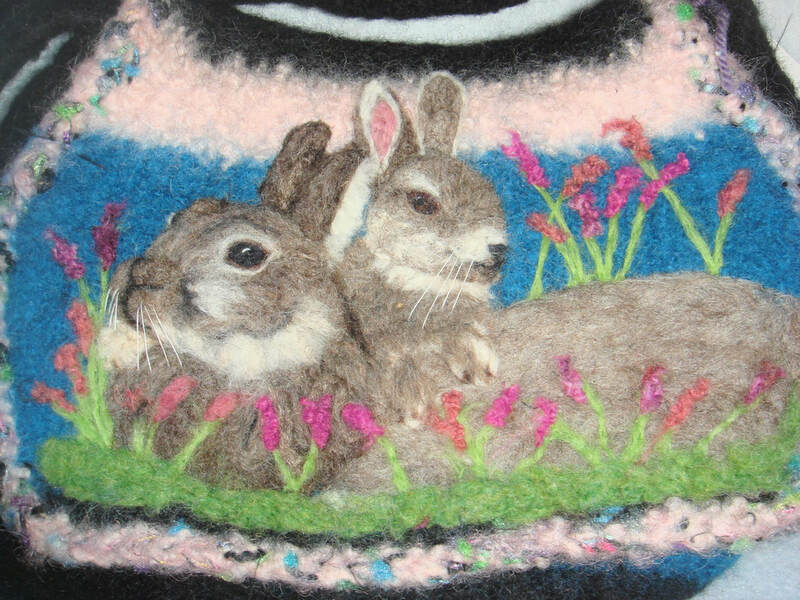 Needle felting is like painting with "roving" wool using sharp barbed needles as your paint brushes. The barbs tangle the wool from the inside attaching it to the fabric. 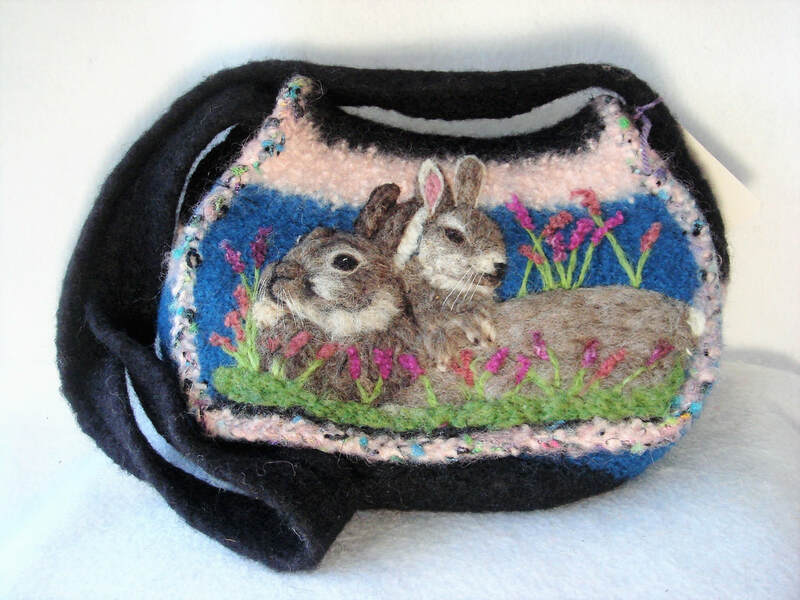 Needle felting provides a fabulous way to add details, texture, and depth to the felt art.​creatures! The bag closes with a ceramic button and has an inside pocket. The measurements are: 12" X 12" X 2.5". The ADadorable JUSTABLE strap has a 25" drop but can easily be shortened. Who wants to kiss these two? ?